As the environmental regulations change, it affects all industries including the agricultural business. Land and water contamination are becoming a serious problem. Canadian Enviro-Tub believes these affects can be eliminated by a one time investment in an Enviro-Tub. 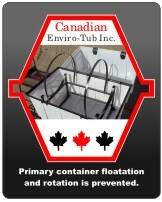 The Enviro-Tub will protect your land from contamination for future generations with its fully enclosed secondary containment system. This means no contamination due to spills or leaks from your fuel tanks. 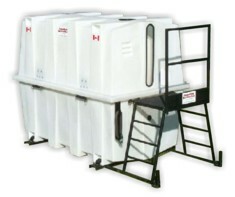 Enviro-Tub is recognized by the Alberta Agriculture and Rural Development program as an alternative solution for farm fuel and storage handling. As land transaction proceed, financial instituions are becoming increasingly concerned. In many cases they are demanding soil samples to be taken to guarantee no soil contamination is found. 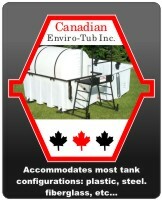 Be 100% sure that your fuel tank is not contaminating our soil, invest in an Enviro-Tub by Canadian Enviro-Tub.